Since opening the doors to Inspire Cowork back in 2015, I have learned a lot about the importance of working in a collaborative environment and the benefits for small businesses, entrepreneurs, and freelancers alike to work in a positive space. I have many reasons why I believe a coworking space is a place to be for a business starting out or the next step from the home office to an office space, but I will keep it to 10 points. The power of technology never seizes to amaze me. Working in the tech industry, I feel that I am very connected to the tech world and every day there is something new that I am either intrigued or fascinated by. For many businesses and entrepreneurs, it’s becoming the norm to run an entire business remotely. This can be great on many levels, although it can also be a double edge sword. For the benefits you get on one side, you can lose on the other. At a human level, these types of businesses can be very lonely and as a result, can be restricted by lack of creativity and innovation. That human connection allows for business owners to think outside the box, run their ideas past like-minded people or simply have a good laugh along the way. Is it just me, or has the commute to work almost doubled since 10 years ago? The roads are definitely busier and the public transport system is in complete overdrive. Due to the consistent increase in rental/property prices close to the CBD and the surrounding areas, people are having to live much further away to be able to afford a place to live. This has put a lot of pressure on the already overloaded road and public transport infrastructure.I have to travel into North Sydney 3 times a week, I was able to negotiate in my contract that I’ll work remotely for 2 days out the week. I work out of Inspire Cowork which works perfectly for me. It’s barely a 2-minute commute to work, and I feel much more relaxed when I reach the office. We have over 50 businesses in the space which allows me to collaborate with like-minded people who are in varying industries. The majority of the members live in the Sutherland Shire so their commute to work is also short, this brings a sense of calm and a stress-free environment as most people don’t have the stress of the commute before they reach the office. Every morning we wake up and rarely have a second thought on how the sharing economy has transformed our lives. Whether we used an Uber to get home last night, or an Airbnb for a quick weekend getaway, the shared economy has become instrumental in our lives. For entrepreneurs, small business owners and innovative start-ups, it’s a really exciting time. Working in an environment where like-minded entrepreneurs share their knowledge, expertise and insights give so much value to your business. Working in a coworking space gives you the opportunity to collaborate with like-minded people. It allows you to push the boundaries, try new things and challenge yourself and your business into thinking differently. Working in an office space which boasts over 50 businesses allows me to collaborate with people within different industries that I never thought would be possible. It brings two worlds together and allows for the creative juices to prosper. Networking is a powerful tool. It leaves you feeling inspired and motivated by the people you meet along the way. It provides incredible business opportunities and can add so much insight and value to your business. Working out of a collaborative coworking space allows you to meet with people who you wouldn’t necessarily be in the same circles with. It can open doors which you never deemed possible. As the old saying goes “it’s who you know, not what you know”. Let’s face it! Who doesn’t love a good caffeine fix? An average cup of coffee is about $3.00 in Sydney. Imagine how much money you save by having café quality coffee straight from your workplace included in your monthly membership fee. 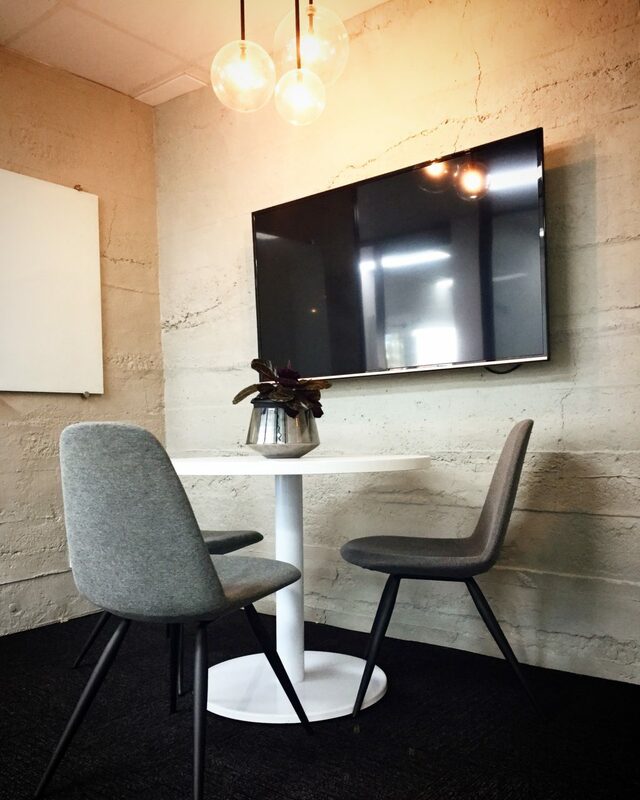 Additionally, at Inspire Cowork, you have access to a number of meeting rooms so instead of taking your clients to the cafe down the road, you can bring them to a professional workspace. Starting your own business isn’t easy or cheap. A coworking space offers people who are looking to leave the home office a chance to work in a fully equipped office space without all the overhead costs of setting up their own office. Finding the right coworking space to suit your business needs is vital. There are many coworking models out there, some more flexible than others. I suggest that before you sign up to any coworking space, you understand what is included in your monthly fee and ensure you understand whether there is a cancellation period or bond which needs to be paid. With many businesses, there are always ups and downs. With those tumultuous times comes the increase and decrease of staff. Additionally, depending on the business that you’re running, you may require casual staff over a certain period of time to help with your peak demand. A coworking space gives you the flexibility to increase the number of desks you require. At Inspire Cowork, we understand the stress of business and we like to think we can take some of that stress away by offering no cancellation fees or bonds. If over December you require 3 new people to help with your work load, you can increase by 3 desks for December and bring it back to the 1 desk by January. Working out of the home office can have both its positives and negatives. It’s really difficult to turn off from work mode when your office is in the house. By being in a coworking space, it provides you with boundaries between your work and your life. It allows you to get into a working routine where you are able to switch off when you leave the office. Being centrally located is a huge benefit for your business. Inspire Cowork is just a few minutes’ walk from Westfield Shopping Centre, Miranda train station, and bus stops and conveniently located to surrounding schools and doctors. I love working out of the Sutherland Shire’s largest coworking space. There are over 50 businesses in the space and it’s amazing to see how all the different businesses communicate and collaborate with each other. On a daily basis, I find myself intrigued by the level of comfort and confidence which emanates from the members. Whether the members are working within the coworking space or within a private office, the sense of community is always in the air. I find that working in an environment where you can collaborate and network with like-minded people on a daily basis who are not judging you by the story you are selling, really gives you the experience and confidence to do it when it really counts. If you’re in the Sutherland Shire or surrounding areas and looking to join a collaborative coworking space, look no further than Inspire Cowork. Give me a call today, I’d love to meet you. Here what our members have to say. Want to see if coworking will work for you?